Take in the views from a garden and make use of amenities such as complimentary wireless Internet access and babysitting/childcare (surcharge). If you're planning a day at a nearby theme park, you can hop on the shuttle (surcharge). Set in a quiet street in the Latin Quarter close to the Pantheon, the Curie Institute, Rue Mouffetard and a short walk of the Jardin des Plantes, the hotel is ideally located for a starting point to some of the most picturesque strolls in Paris. This apart-hotel is non-smoking property that features 16 apartments ranging from studio to duplex and is entirely equipped with free Wifi. Offering designer accommodation in the heart of Paris’ Latin Quarter, Hotel Seven is a 4-star destination only minutes on foot from the Luxembourg Gardens and Censier-Daubenton Metro station. The unique rooms are chicly furnished and come equipped with free wi-fi, Apple™ docking stations, LCD TVs and Nespresso™ coffee machines. Start the day with a fresh continental breakfast, relax at night in the stylish lounge bar and revitalise your body and mind with a private therapeutic massage. 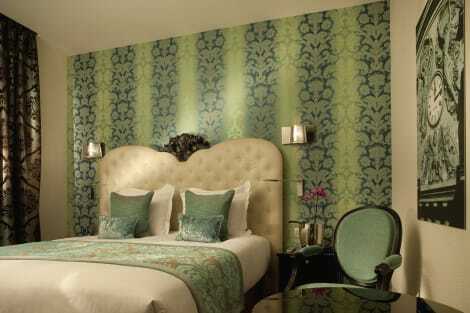 Close to the Jardin du Luxembourg, the 4-star Hotel Le Petit Paris is ideally located for taking in the sights of Paris. Dating back to the 18th century, the hotel has been furnished in a colourful, contemporary style and offers a 24-hour front desk service, daily breakfast buffet, honesty bar and a library/lounge. Rooms are air conditioned and have mini bars, flat-screen TVs and free wi-fi access. 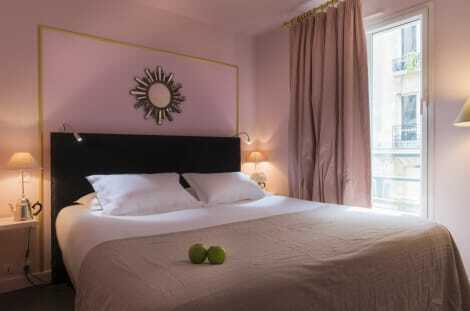 Inspired by some of the most famous women in Paris’ history, Les Dames du Pantheon is a character-filled place to stay in the Latin Quarter, right by the Pantheon and Luxembourg Gardens. A breakfast buffet is served each morning, and there is a chic lounge bar, concierge services and a boutique, selling exclusive toiletries. Each of the six floors has its own theme and décor, but all rooms feature flat-screen TVs, free wi-fi, air conditioning, safes and luxurious bath products. Make yourself at home in one of the 30 air-conditioned guestrooms. Complimentary wireless Internet access keeps you connected, and satellite programming is available for your entertainment. Private bathrooms have rainfall showerheads and designer toiletries. Conveniences include safes and a turndown service, and housekeeping is provided daily.